We customize the following software to fit your needs. And, we also develop new ones. Timekeeping 1< Download - 887KB >Timekeeping 1 is a basic employee timekeeping software. Class Record 1.2< Download - 1.3MB >Classs Record 1.2 is a great teacher's companion for students' records. Recall exams and grades using this software. Class Record 1.2 is very to use. Basketball Timer < Download - 278KB > A basic basketball game timer and scorer. 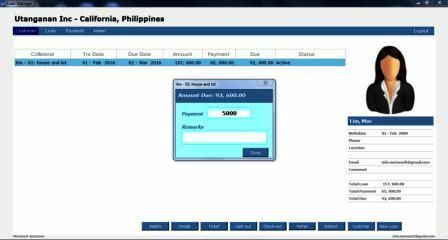 Payroll 5 is a payroll management tool designed for the small business owners. This software is available for free download and trial - with no risk or obligation. Payroll 5 will help you manage your employees' payslips with ease. It easily calculates taxes and other employee deductions. Leave days taken and its corresponding dates are also available for further reference. 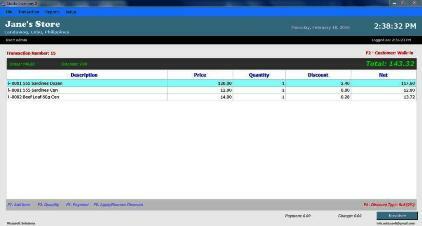 Stocks Inventory 2 is ideal for store sales tracking and inventory. You can track your items or products by transaction type or thru per item transaction. You will find no hassle in checking-out items to customers and printing your transactions. It is an inventory management software designed for small to mid-sized businesses. By using Stocks Inventory 2, you can accurately provide customer needs and save time on paperwork. It can help you track inventory, take customer orders and reorder stocks. Important: Please read the ReadMe file for instructions to install the database. Loan Manager 3 is ideal for businesses involve in lending or loan. Daily collections can easily be tracked using this software. It is very user-friendly that renewing a client's loan is done without much trouble. < Download - 576KB > PRMS 2 is a property rental management system. This software is ideal for hotel, motel, bed and breakfast, resort, inn or lodge. It is easy to use and it will help you organize from reservation to check-out. There are modules for reservations and advance deposits. Guest folios can be verified prior to check-in and checkout as this software saves guest reservation history.